Neenah, Wisconsin ... a beautiful city located on the shores of Lake Winnebago. 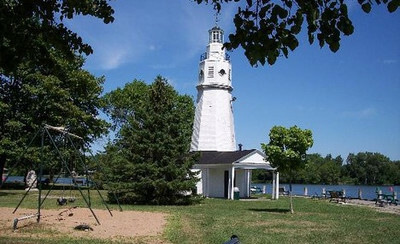 Now home to just over 25,000 people, Neenah was settled in 1835 as a mission for the Menominee Indian tribe because of the river's ability to generate power. Soon, a number of lumber milling operations set up shop, and by 1872, the paper industry joined in and Kimberly-Clark, still an active business in the Neenah community, was formed. Neenah continues to serve as host to a number of historical landmarks, thriving businesses and families looking for a quaint place to settle down. Our school system is second-to-none in the area, earning a "Gold Medal" rating in Expansion Management Magazine's Education Quotient review (based on high graduation rates, college board scores that are consistently higher than state and national averages, low teacher/student ratios, continued commitment to funding public education, and strong economic and educational demographic rankings). For more information about the City of Neenah, visit their website, check out the community pages of this site (which will give you a better idea of how the school district and community work together to prepare our youth for what lies ahead) or just take a walk around and check out the beauty that surrounds our community.